Rumours of the Clinton Foundation's closure have been greatly exaggerated. However, what is certain; if their standing within the Democratic Party is to improve and the U.S. as a whole then they're going to have to start using the foundation as it was originally intended - a charity. Not a political dynasty. The survival of the U.S. and the planet has to be built on a meritocracy - not familial nepotistic show-boatmanship. DON'T pay men in your organisation more than women. WikiLeaks, now recognised as a publisher in the UK, has highlighted the massive gender pay gap at the foundation. This belies, and seems somewhat at odds with Hillary Clinton's feminist proclamations, as well intentioned they may be. Recent developments at the BBC with Carrie Gracie resigning was a watershed moment and should inform the Clinton Foundation's future salary requirements for women: equal. The word charity also seems much at odds with what the foundation has been trying to achieve. In 2014 as little as 3% went to actual good causes: $5,160,385.00 from a revenue of $177, 804,612.00, their tax returns stipulate. The overlapping of charitable status and earnings from speeches/personal appearances also demonstrates a clear, conflict of interest. Much to the chagrin of an increasingly politically, fatigued U.S. public. If transparency in political expediency was ever to be doubted then you have it in the returns' form in black and white. So, maybe donate more to actual causes? 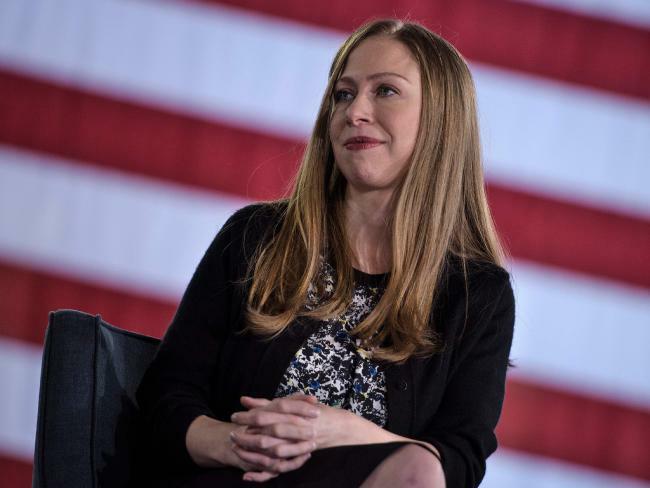 As Hillary looks to be retiring, their daughter - Chelsea - is very much being groomed as a replacement. The latter is listed as a director at Barry Diller's IAC, a role unto which she is paid $50,000 per year and given $250,000 in stock. After a short stint at NBC her latest appointment at Expedia as a director has also raised eyebrows. Diller, family friend of the Clintons and also senior executive at Expedia - already seems to be positioning himself for a future role in any Chelsea Clinton presidential campaign. Not content at receiving donations with aplomb. Assange's WikiLeaks - an eternal thorn in the side of the Clintons - revealed Chelsea Clinton's wedding to Marc Mezvinsky was also funded by the foundation to the tune of $3m. A decidedly dubious decision which, paired with Hillary's diminished power and influence on Capitol Hill, may well be a shrewd decision in the long run as the family lick their wounds and look to scale back operations for a fresh, Chelsea run. But actions speak louder than money, they should get out on the road a bit. However. Charity, it would appear, begins at home for the Clintons. Let's fix the news. Together. Experience a completely new way of reading news where we all create the content together. Newsvoice moves the power over the news to our readers.